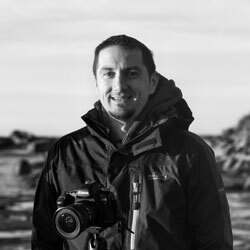 Hi, Steve Arnold here, founder and owner of PhotographyUncovered.net. I have dedicated this site to helping you become a better photographer by giving you practical advice, tips and tutorials that you can put into action immediately and get results. You won’t find any fluff or filler content here, just real tips and instructions broken down into practical and manageable chunks of information that you can take away and start taking better photos. To get started, take a browse through our articles and videos now using the menu at the top of this page. Want to improve your Photoshop skills? If you’re looking to improve the quality of your photos through learning how to edit them to perfection in Photoshop, then visit our sister site PostProcessingMastery.com where you’ll find our video courses that you can invest in. Photo Mastery With Steve – My growing Facebook community where you can take part in challenges, post your shots, and interact with your fellow photographers from around the globe.